Steve Jobs Dismisses All Other Tablets As "Tweeners"
Tweeners…? Not exactly sure what that means, but suffice it to say coming from Steve Jobs in comments about the slew of Android bases tablets, it’s not a positive comment! 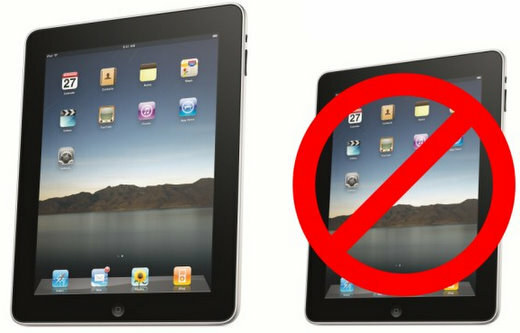 Steve Jobs is not pleased whatsoever with the onslaught of Android 2.2 OS tablets that are heading to the market place. For one thing, steve Jobs believes that 7 inch tablets are an injustice to users who need a much bigger screen to actually be productive. And secondly, and more importantly, Steve Jobs is not pleased with the fact that Google has already stated that Android 2.2 OS is not compatible with tablet devices, yet tablet manufacturers roar ahead regardless. Apple has a news conference scheduled for tomorrow (Wednesday) and is sure to bring on some more exciting news announcements regarding both the iPad and the iPhone. So stay tuned here to see what’s coming next from Apple.